Did you know? The Separatists who founded the Plymouth Colony referred to themselves as “Saints,” not “Pilgrims.” The use of the word “Pilgrim” to describe this group did not become common until the colony’s bicentennial. 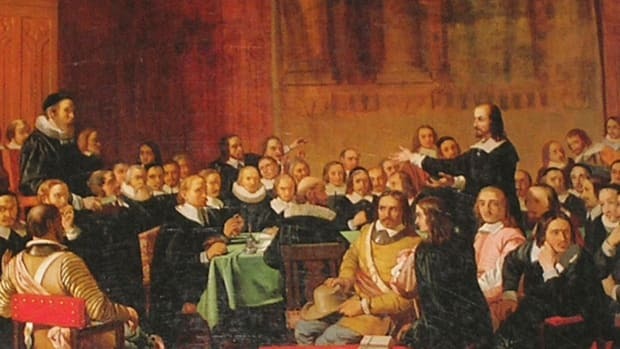 In fact, the Separatists (they called themselves “Saints”) did find religious freedom in Holland, but they also found a secular life that was more difficult to navigate than they’d anticipated. For one thing, Dutch craft guilds excluded the migrants, so they were relegated to menial, low-paying jobs. Even worse was Holland’s easygoing, cosmopolitan atmosphere, which proved alarmingly seductive to some of the Saints’ children. (These young people were “drawn away,” Separatist leader William Bradford wrote, “by evill [sic] example into extravagance and dangerous courses.”) For the strict, devout Separatists, this was the last straw. They decided to move again, this time to a place without government interference or worldly distraction: the “New World” across the Atlantic Ocean. 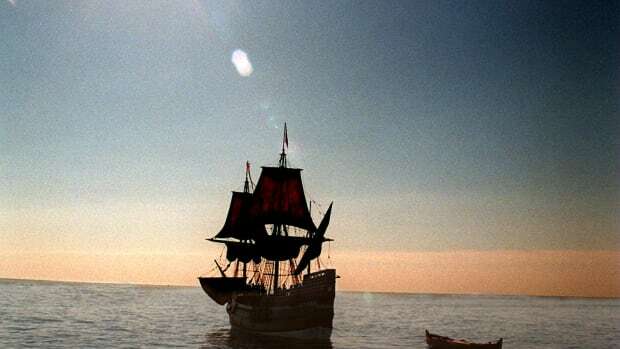 In August 1620, a group of about 40 Saints joined a much larger group of (comparatively) secular colonists–“Strangers,” to the Saints–and set sail from England on two merchant ships: the Mayflower and the Speedwell. 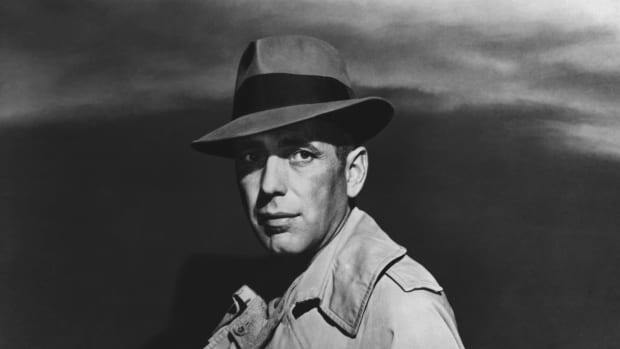 The Speedwell began to leak almost immediately, however, and the ships headed back to port. 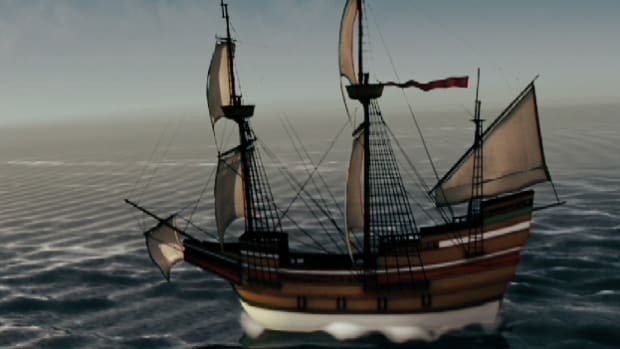 The travelers squeezed themselves and their belongings onto the Mayflower and set sail once again. After two miserable months at sea, the ship finally reached the New World. 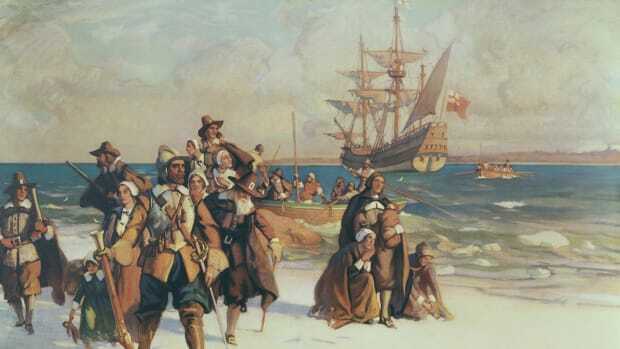 There, the Mayflower’s passengers found an abandoned Indian village and not much else. 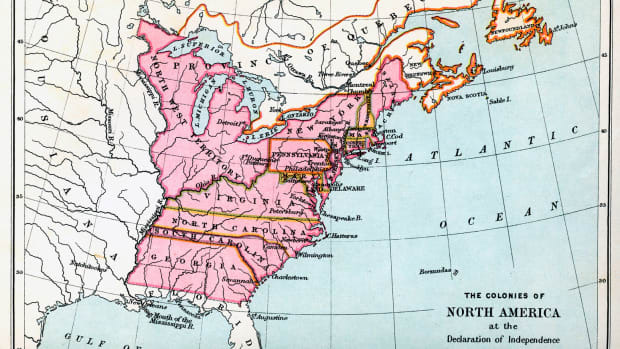 They also found that they were in the wrong place: Cape Cod was located at 42 degrees north latitude, well north of the Virginia Company’s territory. Technically, the Mayflower colonists had no right to be there at all. 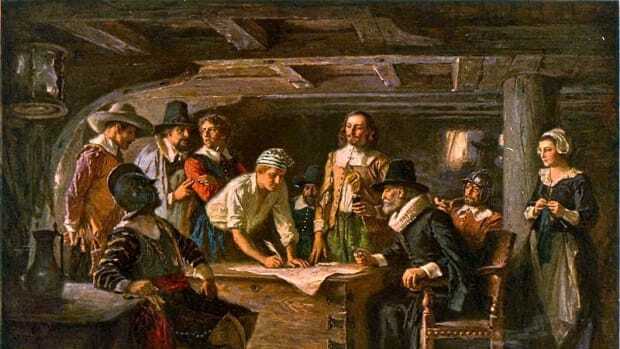 In order to establish themselves as a legitimate colony (“Plymouth,” named after the English port from which they had departed) under these dubious circumstances, 41 of the Saints and Strangers drafted and signed a document they called the Mayflower Compact. This Compact promised to create a “civil Body Politick” governed by elected officials and “just and equal laws.” It also swore allegiance to the English king. 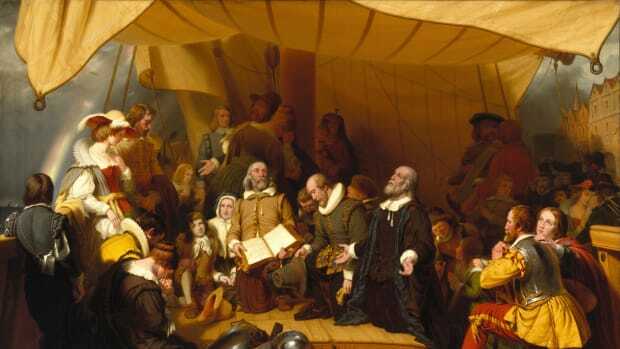 The colonists spent the first winter, which only 53 passengers and half the crew survived, living onboard the Mayflower. 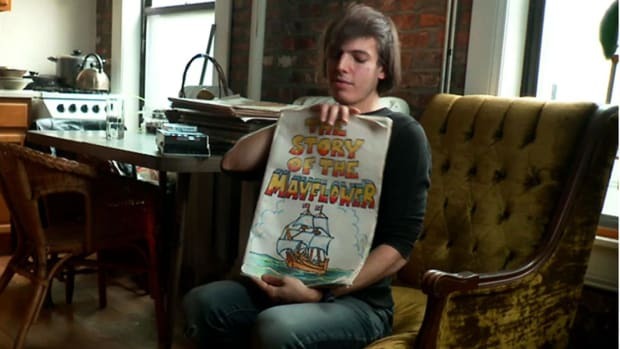 (The Mayflower sailed back to England in April 1621.) Once they moved ashore, the colonists faced even more challenges. During their first winter in America, more than half of the Plymouth colonists died from malnutrition, disease and exposure to the harsh New England weather. In fact, without the help of the area’s native people, it is likely that none of the colonists would have survived. An English-speaking Pawtuxet named Samoset helped the colonists form an alliance with the local Wampanoags, who taught them how to hunt local animals, gather shellfish and grow corn, beans and squash. At the end of the next summer, the Plymouth colonists celebrated their first successful harvest with a three-day festival of thanksgiving. We still commemorate this feast today.